Anorexia nervosa is an eating disorder, more importantly a psychological disorder. 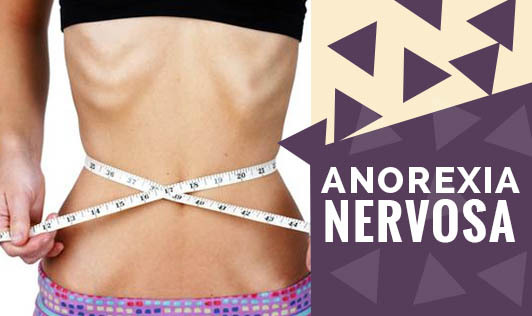 People with anorexia nervosa try to maintain a weight that is far below what is normal for their age and height, and tend to starve themselves and exercise excessively. Anorexia nervosa isn't really about food; it's basically an unhealthy way of coping with emotional problems. This effects females far more often than males and is quite common in adolescence. Anorexia has a number of emotional, physical and behavioural signs and symptoms. If you're experiencing any symptoms that have been mentioned above or if you think you have an eating disorder, please get help immediately!